Your surgeon performs shoulder arthroscopy under general or regional anesthesia. You may be positioned lying down on your side with your arm propped up or sitting in a semi-seated position. After the surgery, the small surgical wounds take a few days to heal and the surgical dressing is replaced by simple Band-Aids. The recovery time depends on the type and extent of problem for which the procedure was performed. 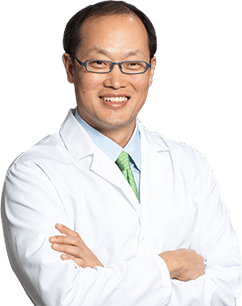 Dr. Thomas Youm is a Board-Certified Orthopaedic Surgeon who specializes in the treatment of athletic injuries and performs arthroscopic and reconstructive surgery of the shoulder, knee, and hip. He has a special interest in joint preservation surgery for the active patient. Dr. Youm performed stem cell therapy on my left shoulder and healed the biceps tear ("SLAP tear") and minor rotator cuff tear in my left shoulder. I went from being in dire pain with limited mobility before the treatment and now I have full range of motion without pain. I thought Dr. Youm was upfront and thorough with the expectations and the process of the treatment. I would definitely consider stem cell treatment as an alternative to surgery and I felt I achieved about 98% of the strength back in my biceps and NO PAIN. © Thomas Youm, MD, FACS Shoulder Arthroscopy New York NY.